Sorry for my sporadic posting recently. This was finals week and I was BEYOND busy. I feel like I have spent zero time at home, but it is all finally over. Hello Christmas break! Time for baking, spending time with family, and relaxing! I actually made this bread a while back, but haven’t had a chance to post about it. As part of my fall baking, I made some homemade slow cooker applesauce. 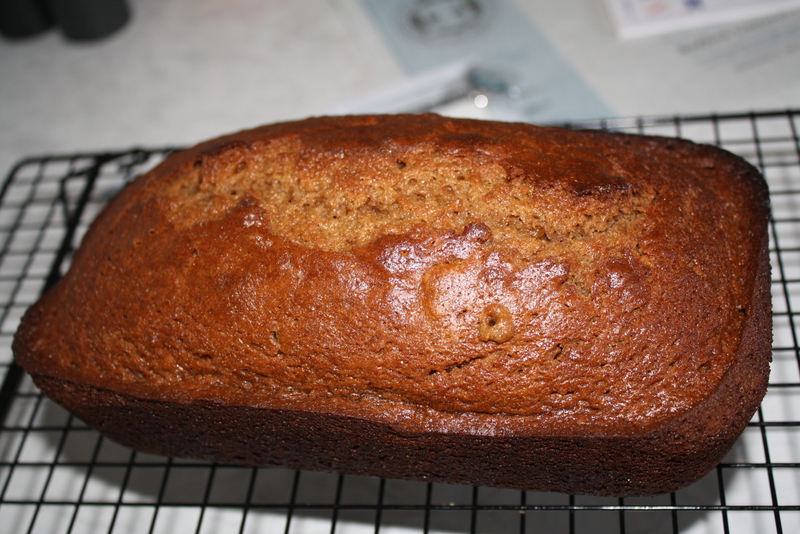 We ate some of it, but the recipe made a lot, so I decided to use it for baking. I shared this bread with my dad and other coworkers and they seemed to like it. The spices make it such a great fall bread (but that doesn’t mean you have to wait until next fall to try it out!). Preheat oven to 375 degrees. Lightly butter a bread pan. Line it with wax paper or parchment paper, then butter and flour it. Cream the butter with the 2 sugars in a mixing bowl until light and fluffy. Add the eggs one at a time, scraping down the sides in between additions, then stir in the applesauce mix. Stir the dry ingredients together in a bowl, then add them to the butter mix and stir just enough to combine well. Turn into the pan and bake in the top third of the oven until firm and a cake tester comes out clean, about 50 minutes. Let cool in the pan 5 minutes, then carefully turn out onto a rack to finish cooling. I love homemade sweet breads! This looks yummy! 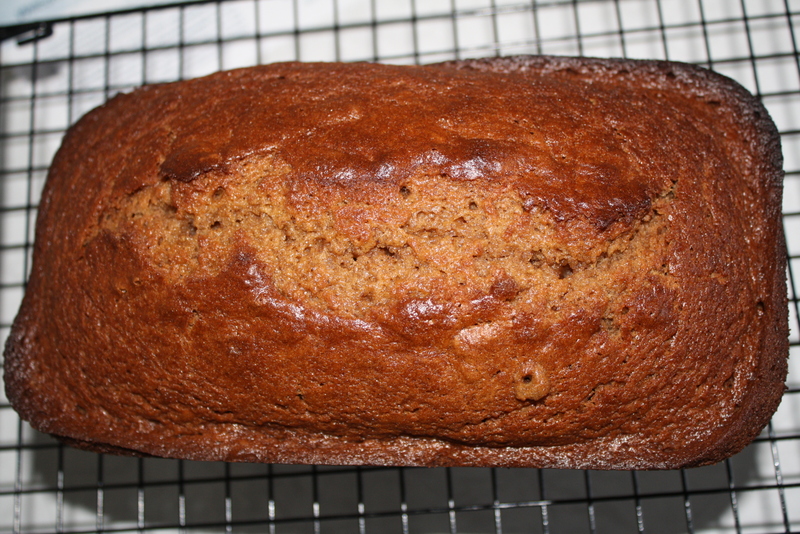 I have been all over sweet breads lately (banana, zucchini, pumpkin, sweet potato)…Yours looks so lovely. Oh, the minute I saw cardamom listed as the spice, I knew I had to make this. It looks fantastic. Congrats on getting through finals! Mmm! I can phantom smell this 🙂 So good! Hope you enjoy some nice, relaxing time off. Bake more bread! Nothing like homemade bread! This looks wonderful!